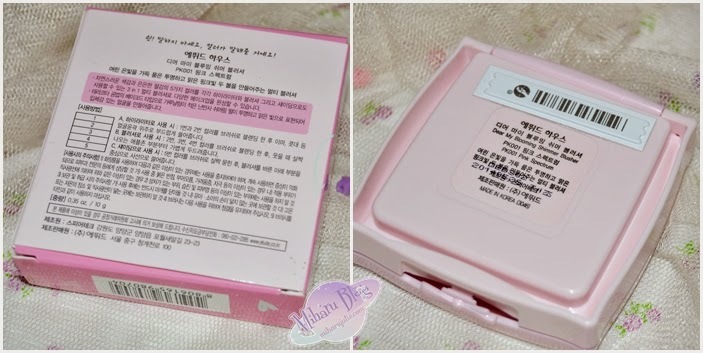 Etude House has launched another new product and this time it is a cheek product. We have already seen the Dear My Blooming Cheek which were blush + highlighter duos (like The Body Shop Baked To Last blushes). 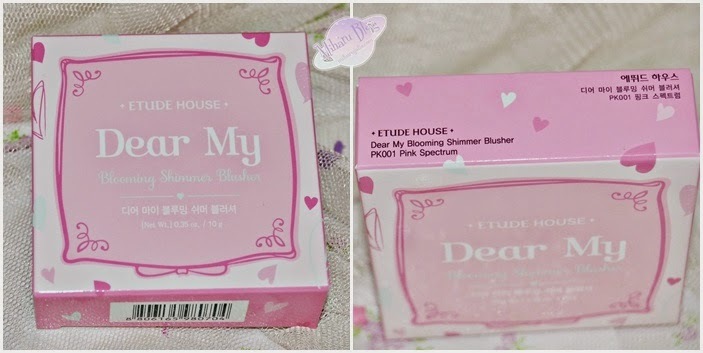 These are the Dear My Blooming Shimmer Blushers which come in a shimmer brick type form. First the packaging comes with baby pink color and made from plastic but sturdy with a cute logo on top and a heart carriage design with a crown, you can feel the princess feeling when you have it. And when you open it, you will find a quite-big mirror inside . I like the flat brush they have provided with the blush . Such brushes work great for highlighting and contouring, hope these are equally good for applying blush. As you can see in the pictures. The color is actualy not really pigmented but it is still buildable, and the staying power is just so-so . So we have to build in the color to show up better. But i really like the not pigmented and buildable part, because i can never put too much blush with this product, also the shimmer can make my face looks glowy .